Okay. So, like most everyone else, you’ve enjoyed your fair share of summer barbeque eats these past few months: juicy steaks and hamburgers, butter-slathered corn, and creamy potato salad. Wine, beer and coolers. Desserts like ice cream, and marshmallows and s’mores melted over the camp fire. Heavy, fatty, creamy foods aside, you’ve hopefully also been taking advantage of the symphony of local fruits and vegetables found at roadside farmers’ markets. And your salads have been colourful and delicious. Right? While the lazy, hazy, crazy days are clearly not over yet, you might be feeling the sluggish results of your summer indulgences. And you’re thinking you need to hop back on the health train. But where to start? Well, if it’s a general dietary clean-up that you’re looking for, let me help get you started with 3 simple every-day additions. These uncomplicated initiatives will start you along the road to feeling and looking better: more energy, better bowel movements, fewer digestive woes, brighter skin and hair. Start your morning with a large glass or mug of warm lemon water, on an empty stomach. Using clean, filtered water (preferably heated or room temperature), add the juice of half of a fresh lemon. If you need a little sweet to counteract the tart, add a couple of drops of stevia or raw honey. Lemon water gives a wonderful good morning! hug to your liver. The awesome liver performs over 400 functions in the body, including some hard work detoxifying chemicals, both natural and foreign, while you sleep. Studies show that lemon juice, a natural antiseptic, stimulates the liver and helps cleanse the body of impurities. It provides high levels of vitamin C, which helps in the production of glutathione – a natural neutralizer of toxins. It dissolves uric acid and helps to liquefy bile. 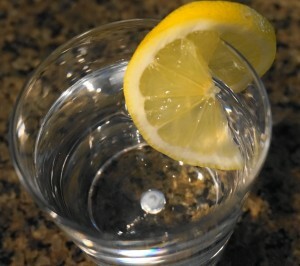 Lemon juice also helps relieve symptoms of indigestion (i.e. heartburn, bloating, gas) and drinking lemon water regularly aids in cleansing the bowels, eliminating constipation and diarrhea. Lemons are one of the most restorative foods for the liver. Get your stash now! These two descriptors should be music to your ears. While your diet should consist of a variety of seeds (think pumpkin, sesame and sunflower, too), to start the seed ball rolling, I suggest you pick up some flax seeds (buy them whole and grind a bit at a time with a coffee grinder, as needed; whole flax seeds are more apt to pass right through your body) and chia seeds (you don’t need to grind these ones). Keep them in the fridge. Alternate daily between the seeds – a tablespoon a day brings lots of health benefits. What is so great about flax and chia? For starters, both seeds are teeming with high fiber, vitamins and minerals such as calcium and phosphorous. The fiber in chia adds bulk to your stools and slows glucose absorption; flax’s fiber helps to lower LDL (‘bad’) cholesterol levels. They are rich in heart- and brain-healthy fats. They provide lignans, which are phytochemicals linked to reducing cancer risk. 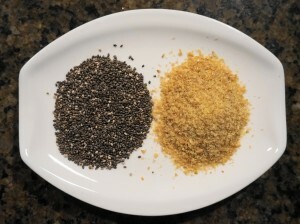 And both seeds provide protein (the chia seed is actually considered a complete protein). Sprinkle chia and ground flax on your salads, in your yogurt, on your cereal, in your scrambled eggs. Add to your smoothie. Add 1 heaping tablespoon of chia seeds to ½ cup of unsweetened almond milk. Stir. Add ½ – 1 tablespoon of cacao powder. Stir in a little raw honey or stevia to taste. Continue stirring on and off for the next 15-20 minutes. Eat right away or cover and put in fridge until ready for a snack. Chia seeds absorb up to 10 times their weight in water, so adding liquid to these seeds results in a thick and creamy pudding-like texture. Romaine, spinach, kale, collards, dandelion, green leaf lettuce, red leaf lettuce, arugula, chard. 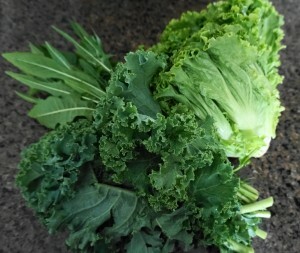 Dark green leafy vegetables rank, ounce for ounce, amongst some of the most nutritionally powerful foods on the planet. 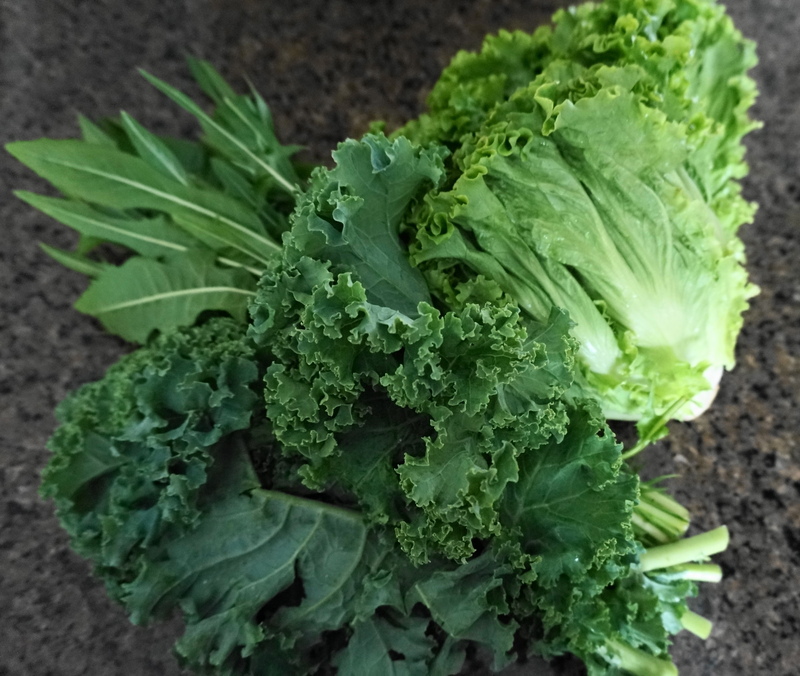 Chockfull of vitamins (K, C, E and many of the B’s) and minerals (iron, calcium, potassium, and magnesium), leafy greens also provide a load of phytonutrients, including lutein, beta-carotene and zeaxanthin (which protect our cells from damage and our eyes from age-related problems). Greens are our detox buddies, and when eaten raw, provide live enzymes to help top up our reserve. Enzymes help repair our DNA, digest food, assimilate nutrients, contribute to clear, smooth skin, and help speed up weight loss…and are catalysts for many other bodily biochemical reactions. These vegetables, both cooked and raw, give us body-loving plant protein, providing a gentle break from the heavier animal proteins. They are also great providers of fiber, having minimal effect on blood sugar. And, these alkaline-forming vegetables help keep our pH levels balanced, an important task these days when the typical North American consumes a disease-promoting, highly acid-forming diet. Popeye was right – ‘eat your spinach!’ And your chard, and your kale, and…be sure to eat some every day!